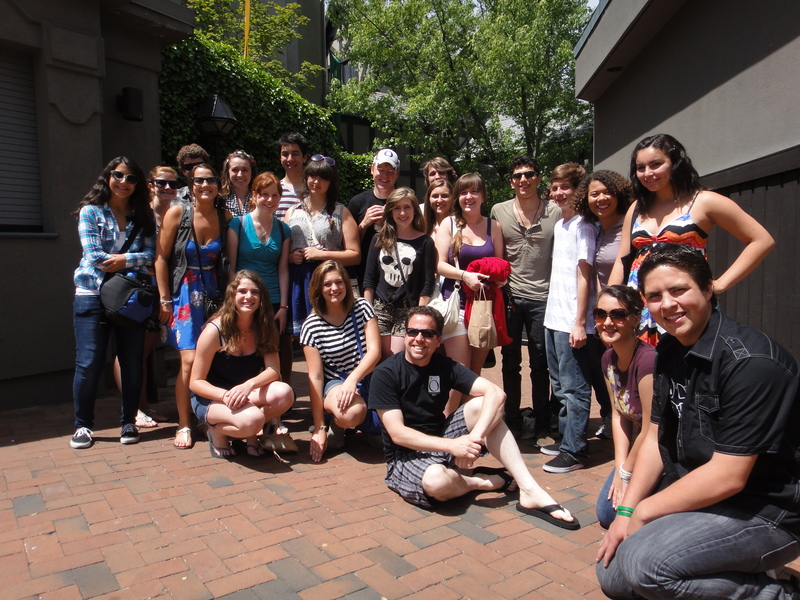 A group of twenty students plus parent and teacher chaperones kicked off summer with an inspiring road trip to the Oregon Shakespeare Festival in Ashland, Oregon last weekend. 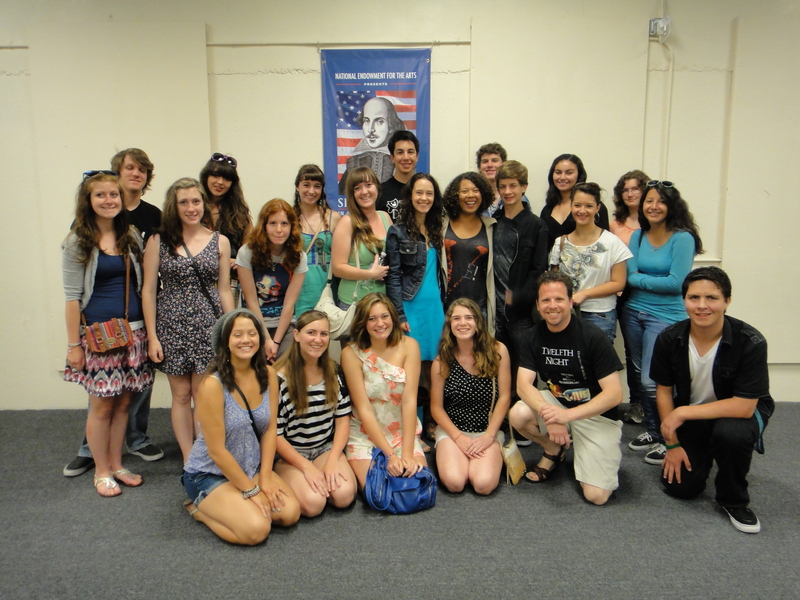 In addition to enjoying performances of Shakespeare’s “As You Like It” and “Romeo and Juliet“, along with comedic musical “Animal Crackers” and a new production “The Merry Wives of Windsor, Iowa“, the students had the unique experience of spending an hour learning about the theatre with actor Christine Albright in a private question and answer session. It was Ms. Albright’s advice on the value of a college education for students pursuing a career in the theatre that left the most powerful impact during the memorable trip. Ms. Albright challenged the myth that succeeding in the Arts is all about talent. She emphasized the importance of education: “If your definition of success is to work at the Oregon Shakespeare Festival, I recommend you look at the bios of the people who work here, and see where they went to school. Undergraduate and graduate training is really important. If you are interested in where to find opportunities, read bios – you can look and see people’s journeys. You have to have talent to get into good programs – talent does matter – but is also matters how you’ve been trained and how you use your talent, which is what the right school can be really good for.” The playbill for the festival validates Ms. Albright’s advice – the bios of actors demonstrate that a university education plays an important role in preparing for the theatre. 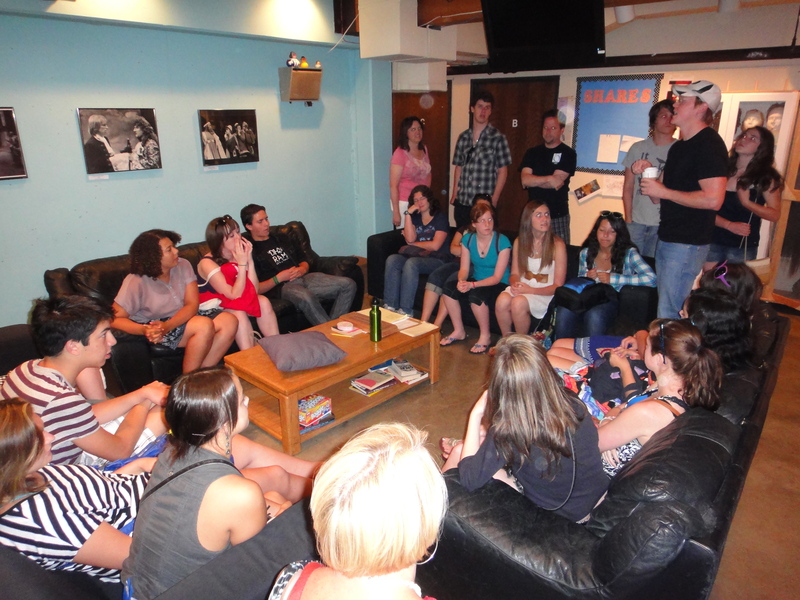 The students were also treated to a 90-minute backstage tour led by actor Jonathan Dyrud. While Dublin High Drama students already know about the complex planning that goes into staging a high school production, the tour reinforced the discipline, team work and skill required to simultaneously rehearse and perform multiple productions. 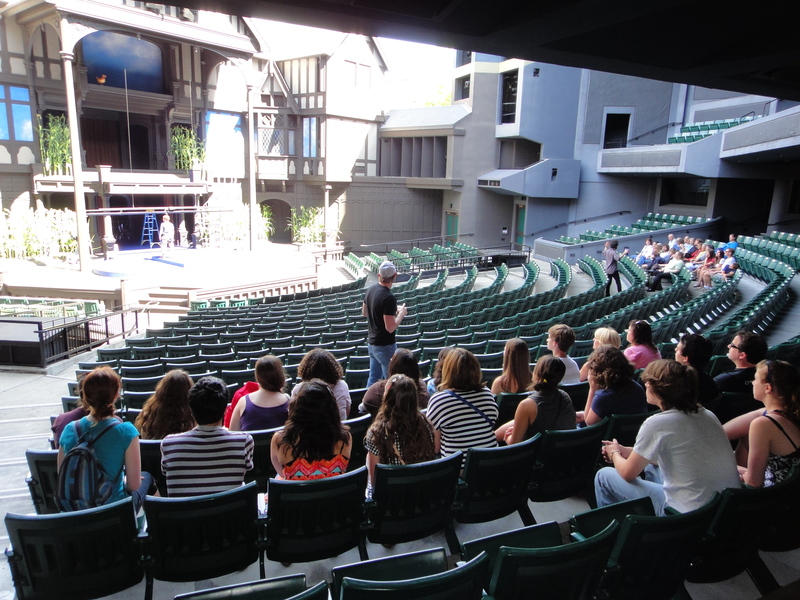 The Oregon Shakespeare Festival is the largest regional rotating repertory theatre in the United States – multiple productions are in being performed simultaneously, often sharing the same stage (and actors) on the same day. 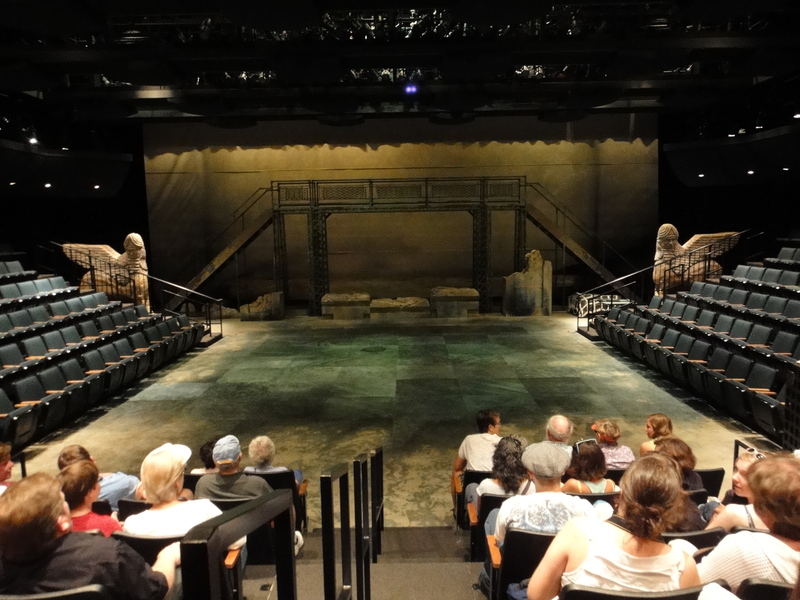 Audiences come to Ashland to enjoy theatre – so the challenge of the backstage professionals is to ensure the audience is completely unaware of the complexity and well-planned chaos behind the scenes. 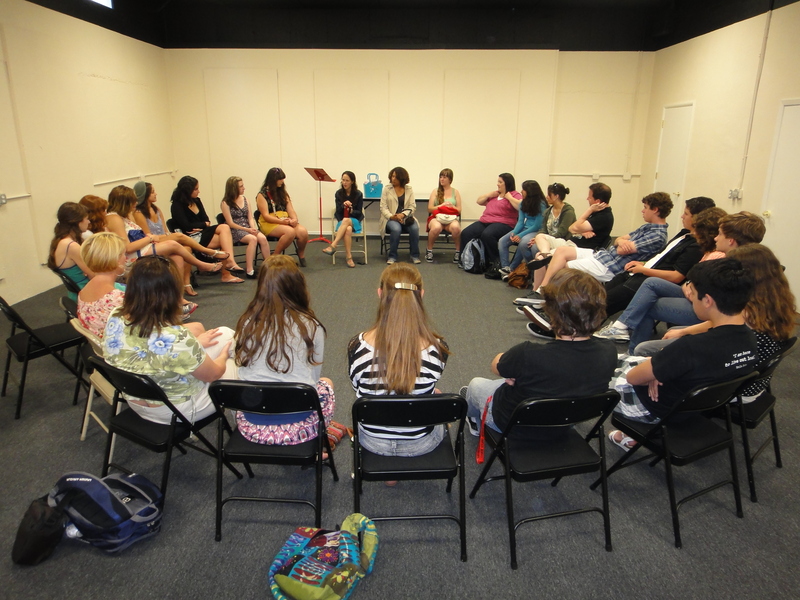 In addition to the Drama Club, Dublin High School also offers Drama and Advanced Drama courses. As part of the Dublin High renewal project, the Dublin High Little Theater will be replaced by a new Dublin High Performing Arts Center which breaks ground this summer. 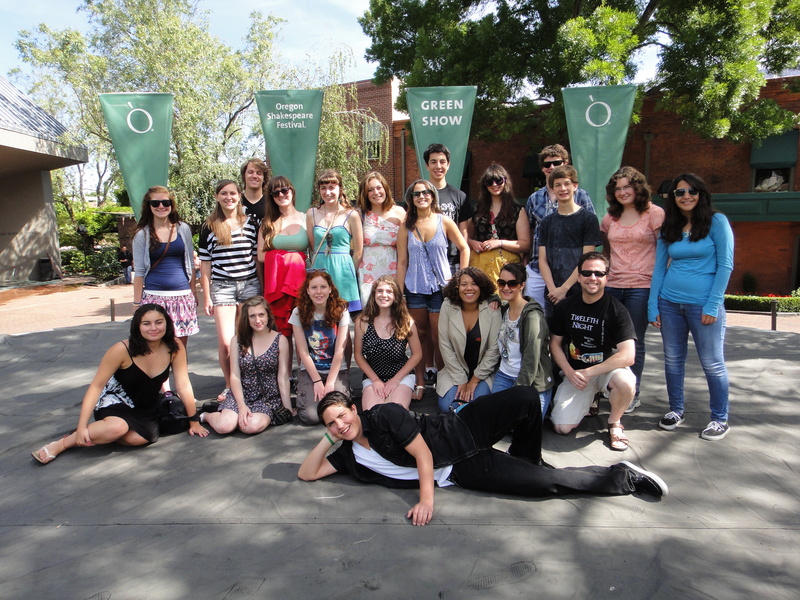 Earlier this year, the Dublin High Drama Club won multiple awards at the Ohlone College High School Theatre Festival (read more…). Each year the Dublin High Drama Club mounts three productions (including student-directed one act plays) and competes at the Ohlone College High School Theatre Festival.